Isoryt! How many of you read my article on unique ways you can be among the best students in your class? If you didn't, you can read it HERE. They say the standard of education in Nigeria is falling by the day and I am sure the unserious students are part of the highest percentage saying this. Well, your complaint has reached the federal government as it proposes a new policy that will at least raise the standard of Education in Nigeria. 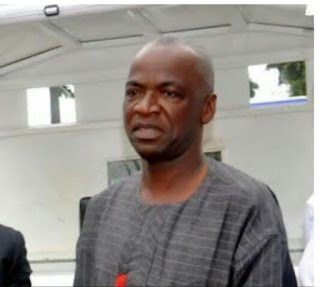 The Minister of State for Education, Professor Anthony Onwuka, yesterday disclosed that the Federal government is proposing a new policy that will enable Vice Chancellors of various institutions to expel students with as low as 0.5 CGPA. We must stop to continue housing adventurers, who have no business remaining in the universities beyond the time specified for their studies in the universities. In that wise, it is being proposed that at the end of this academic year, any student with less than 0.5 CGPA should cease to be a student of the university and should be shown the way out. The universities must continue to have people who are serious in what they have come to do. If you have less than 0.5 in your CGPA, you are out. You are out for good so that the space will be left for those who have come to do serious business. 1. Is this expulsion different from the usual 'WAF' going on in different tertiary institutions in Nigeria for some time now? 2. Does it mean that the student will no longer be admitted into any tertiary institution in the country after being expelled? 3. What does the federal government really mean by this new policy that it is proposing? Well, my fingers are still crossed. I will keep you updated on this.